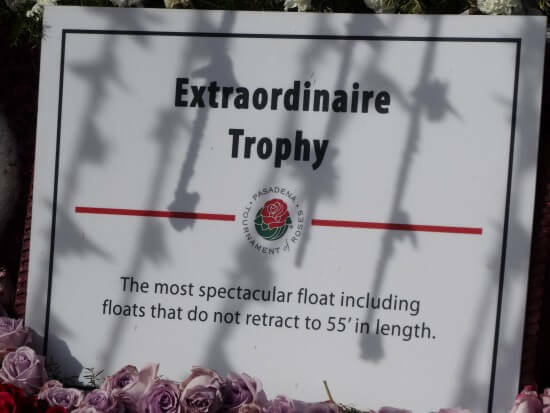 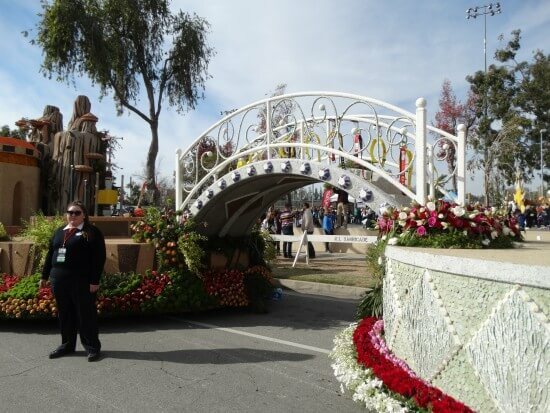 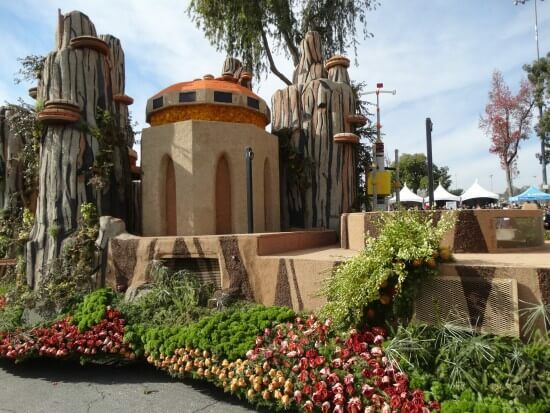 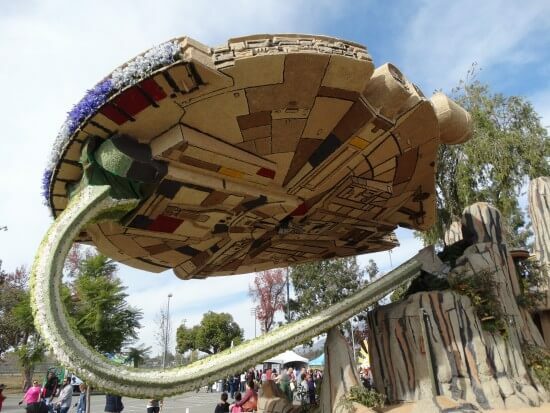 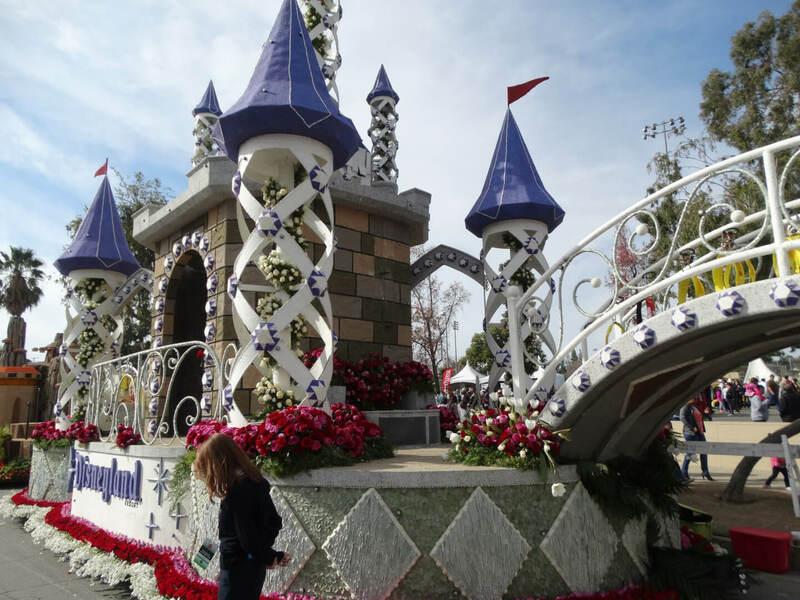 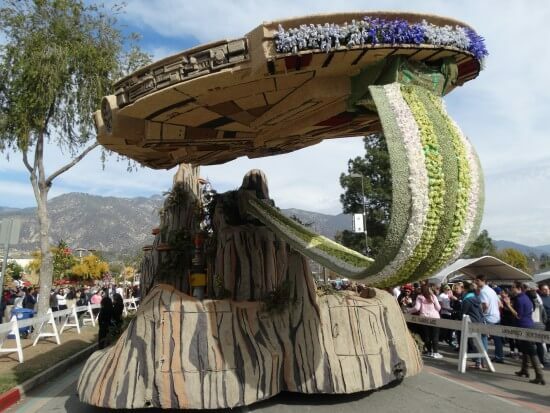 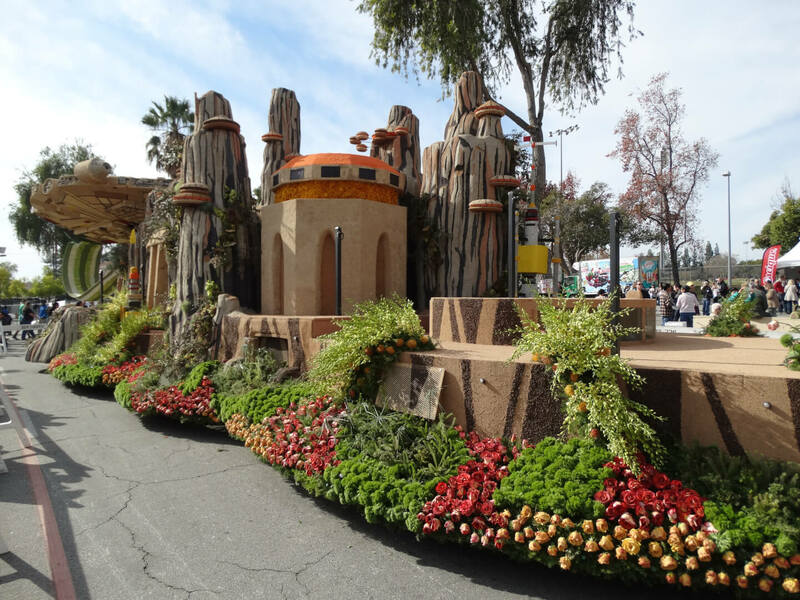 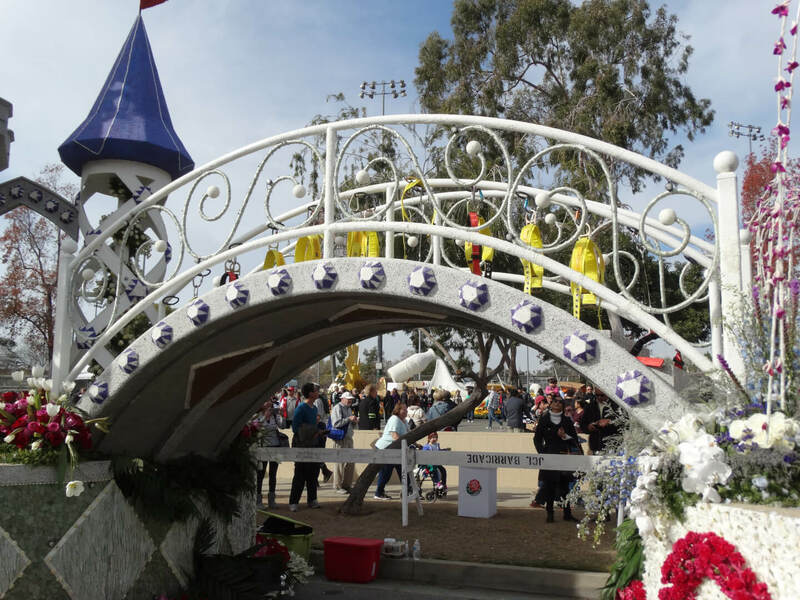 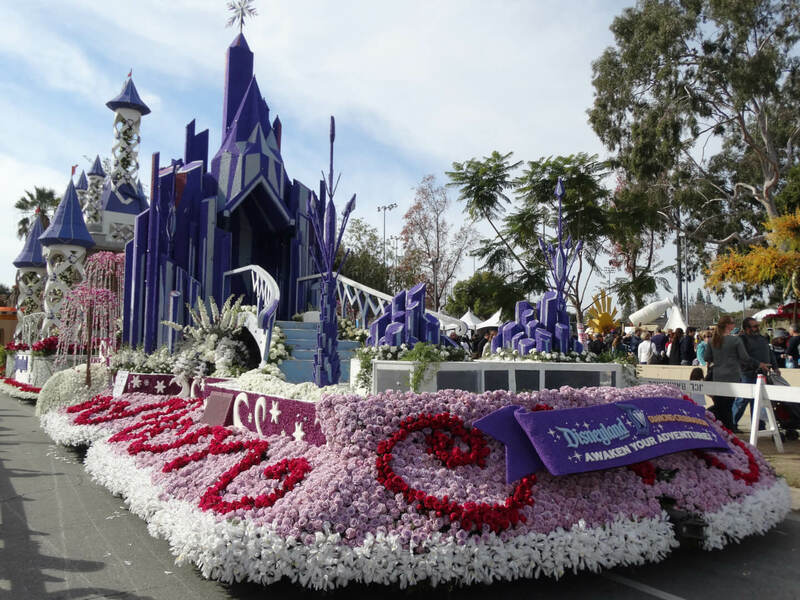 The 2016 Tournament of Roses Parade in Pasadena has come and gone. 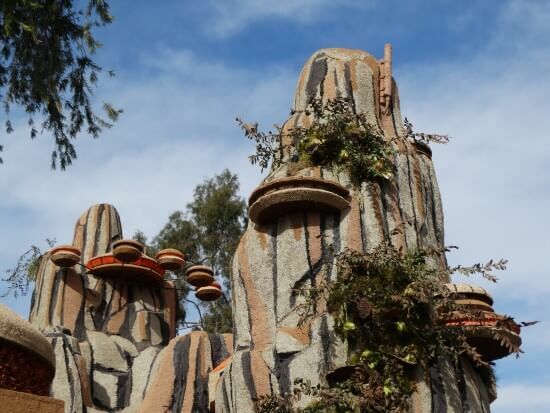 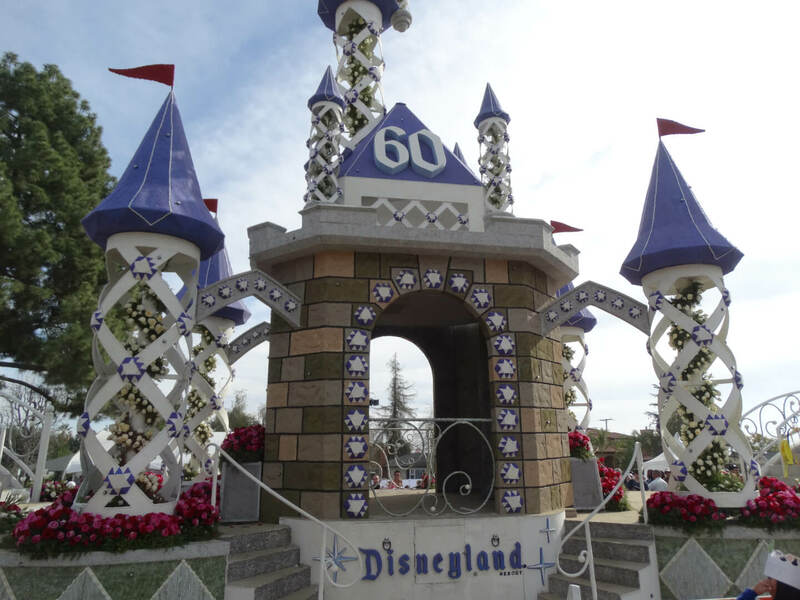 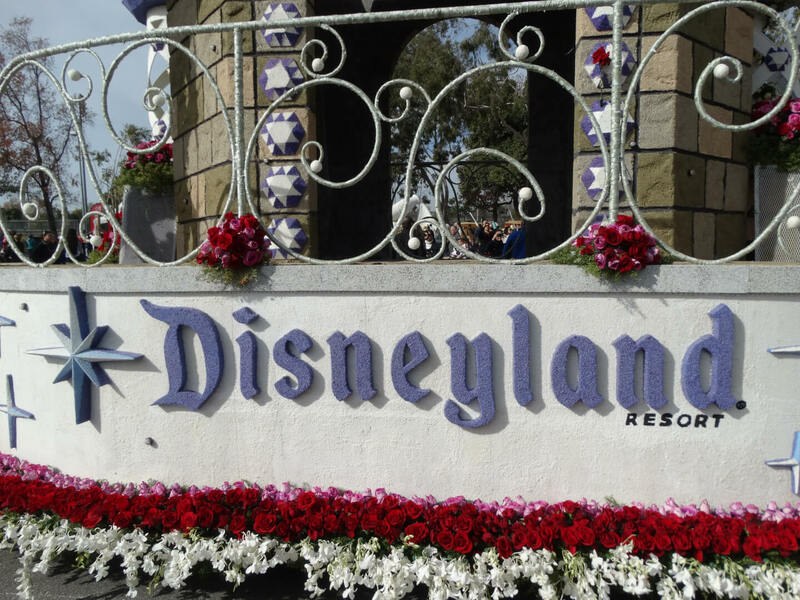 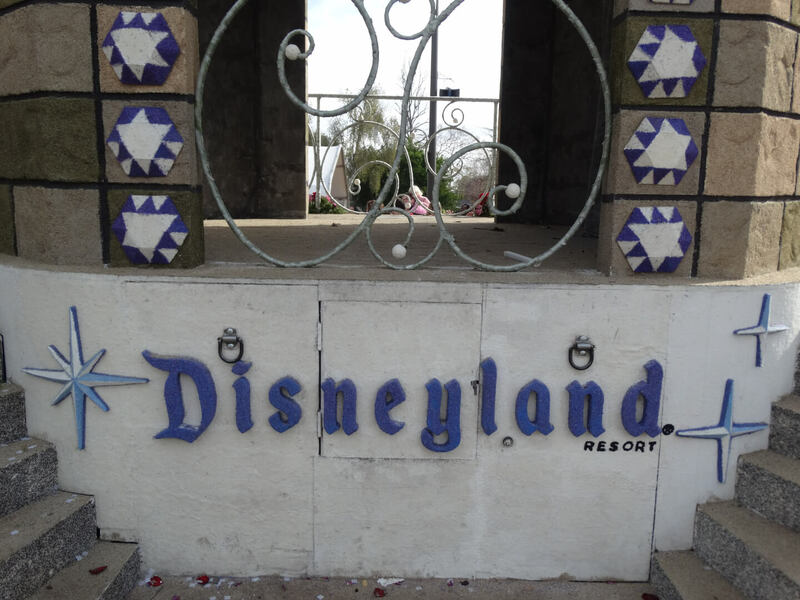 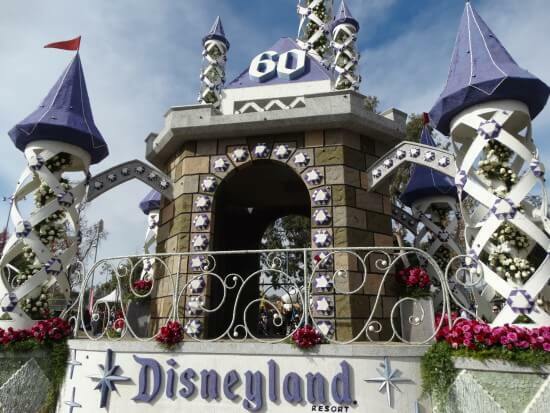 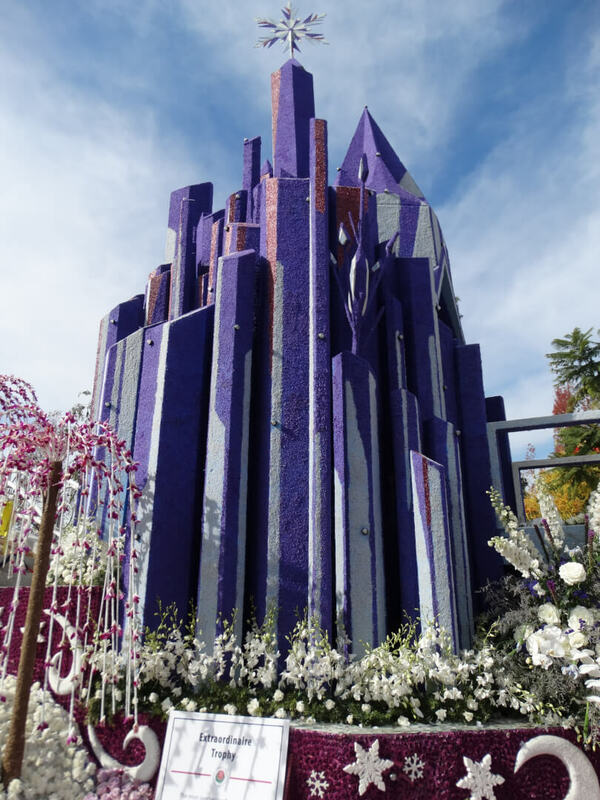 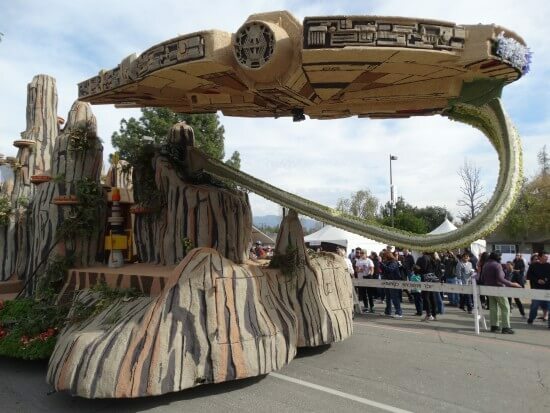 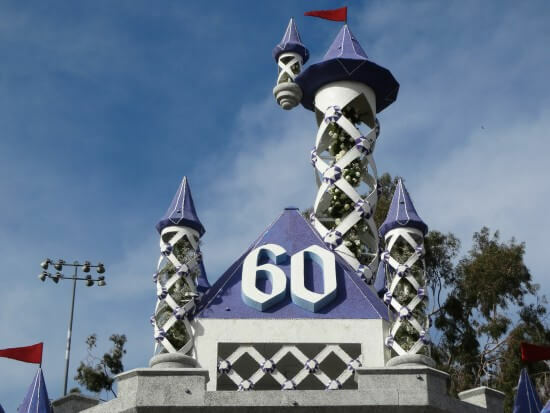 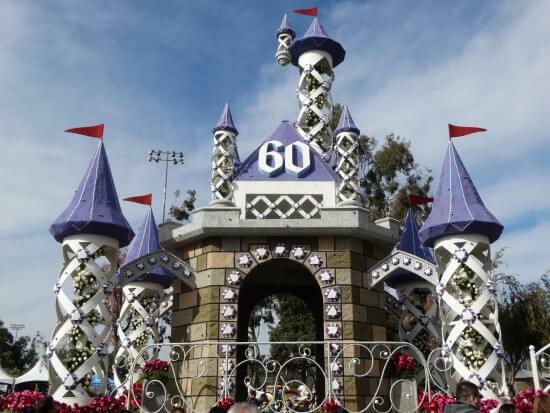 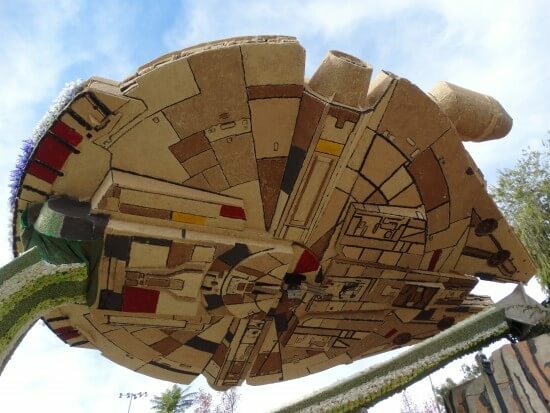 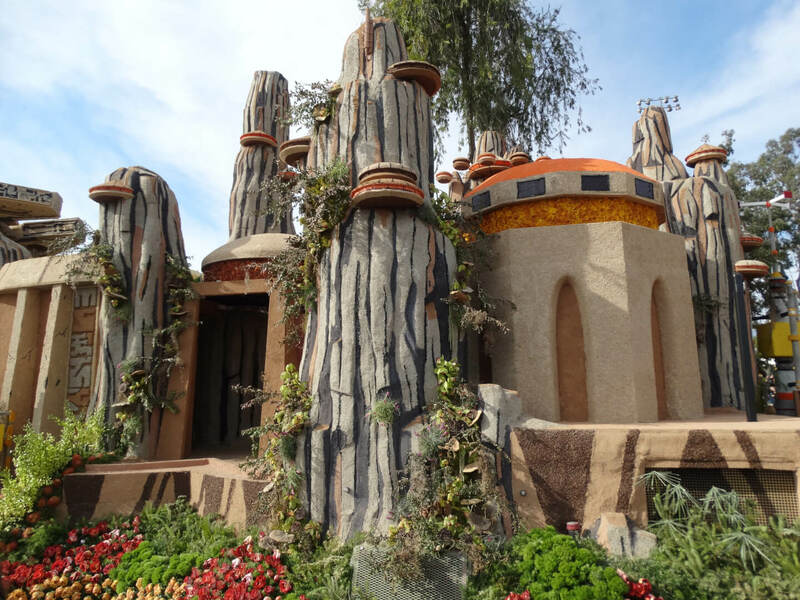 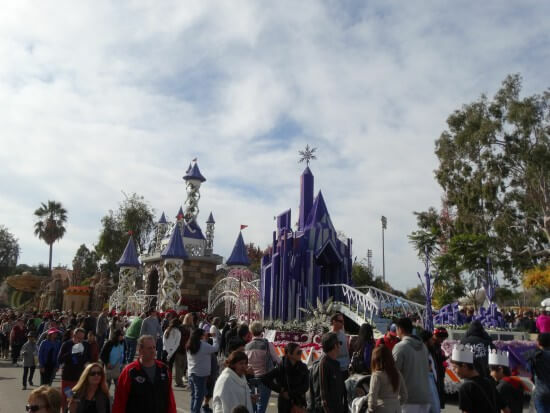 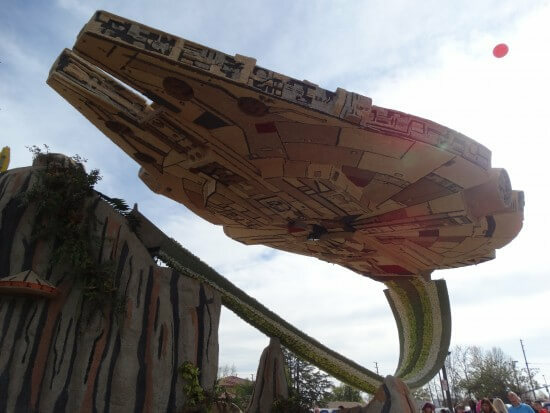 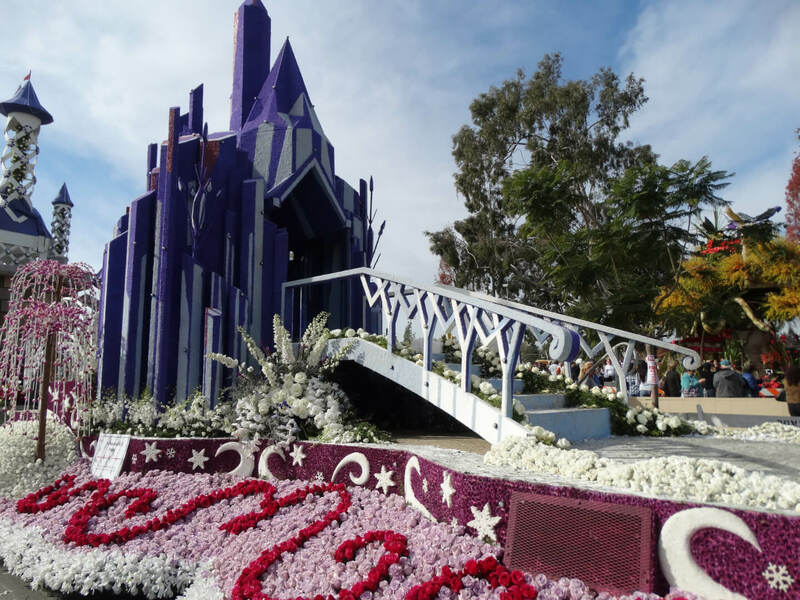 You may have seen our video of the Disneyland Resort float in action, or our coverage of the behind-the-scenes construction of the individual sections of the float. 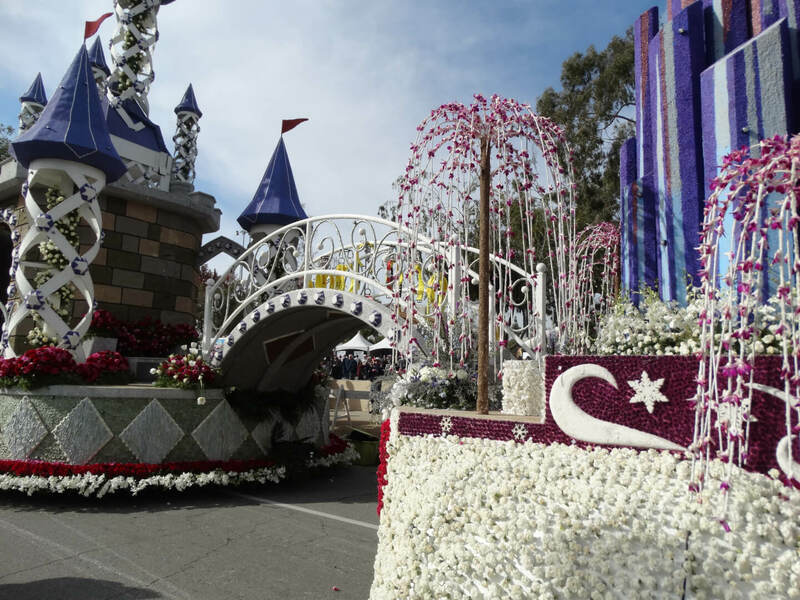 But did you know that for the two days following the parade, all the floats were available to the public to view up-close? 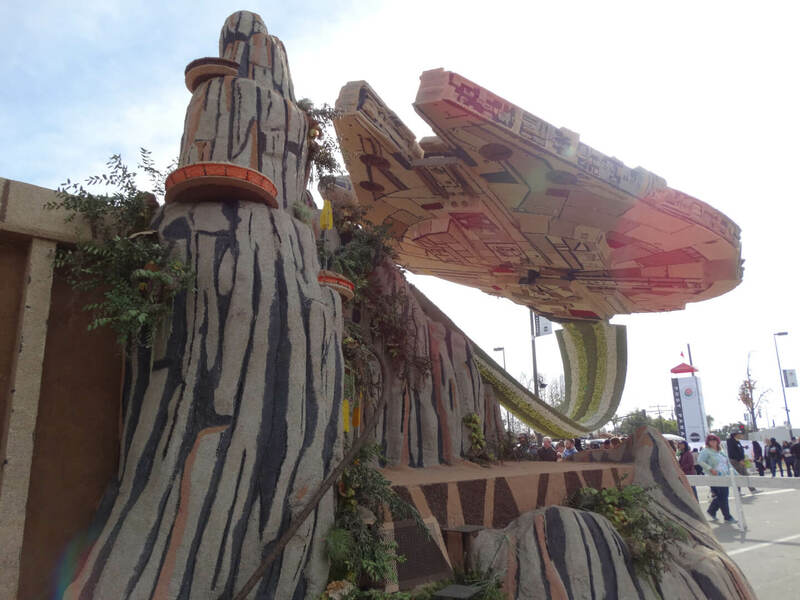 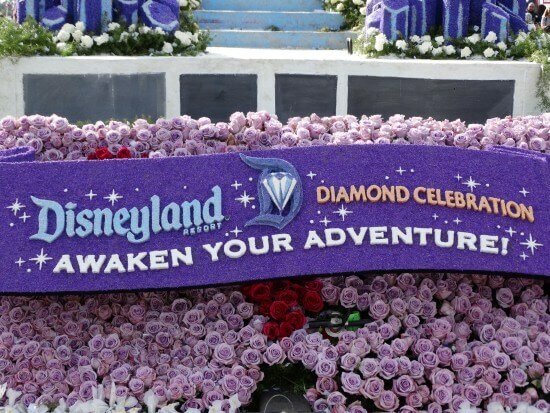 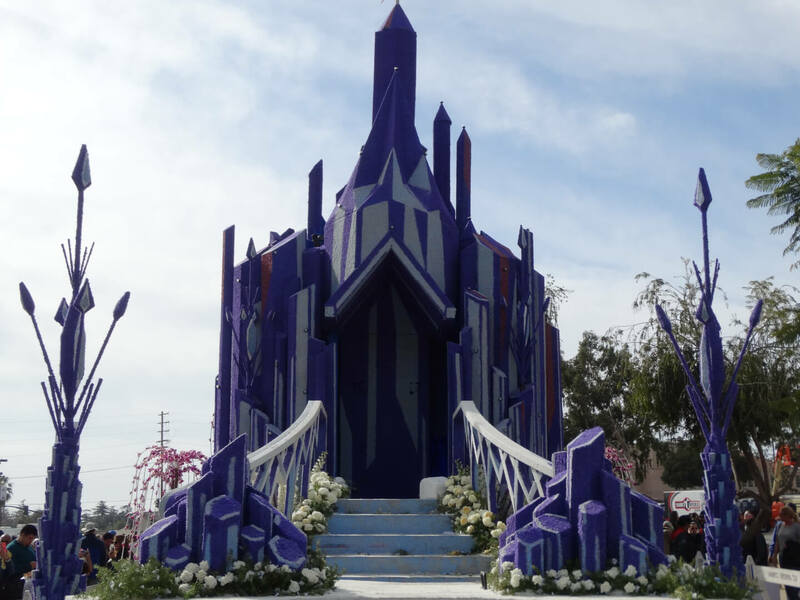 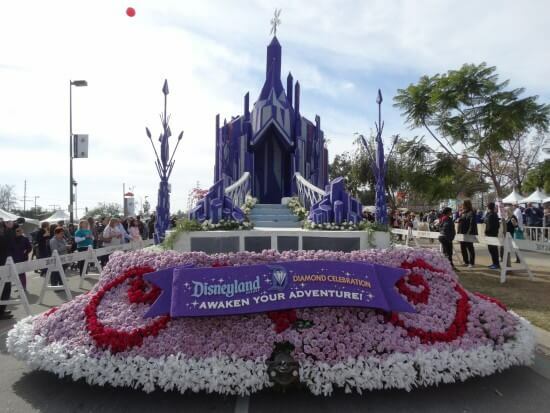 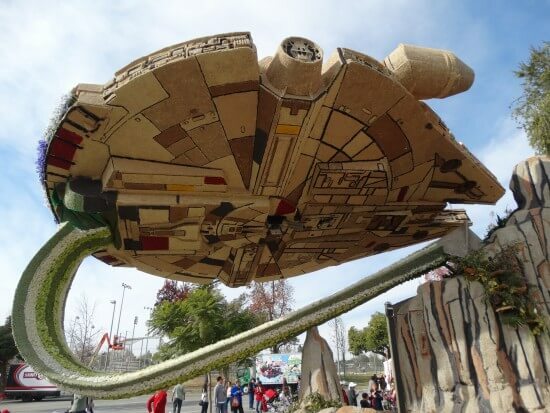 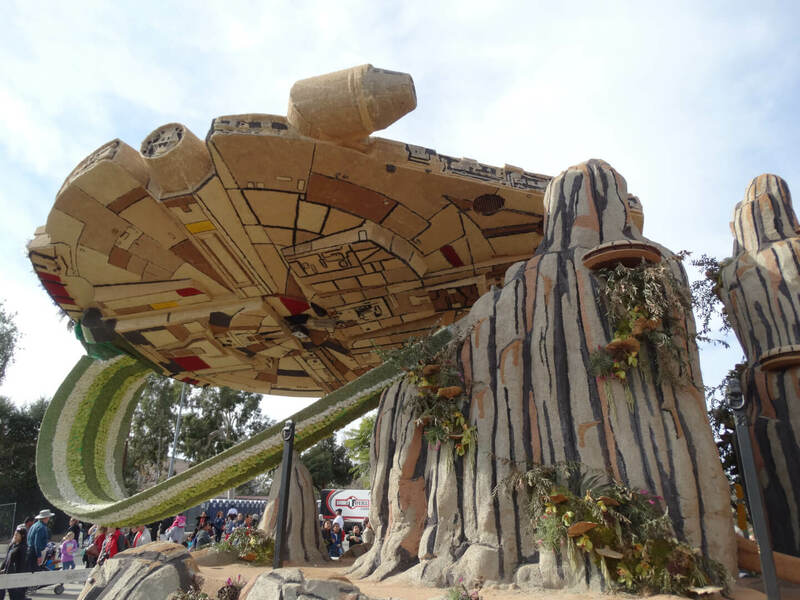 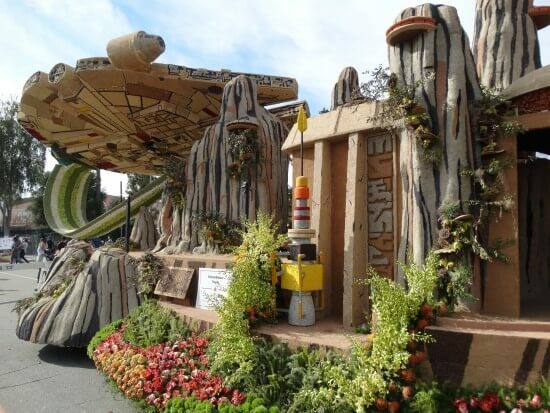 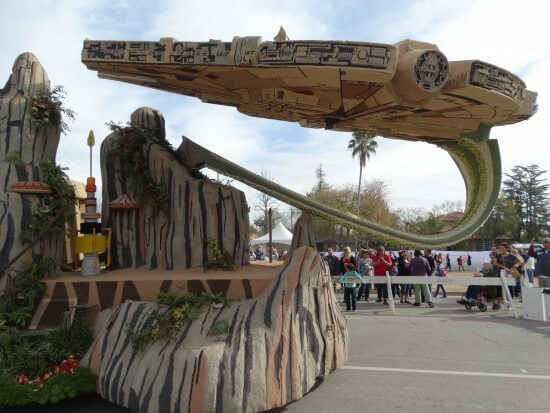 Let’s take a look at the finished float, with all three sections intact (Frozen, the Disneyland Diamond Celebration, and Star Wars) but without any performers or characters present. You can really see the attention to detail that went into the design of the float, and the sheer difficulty in putting it together. 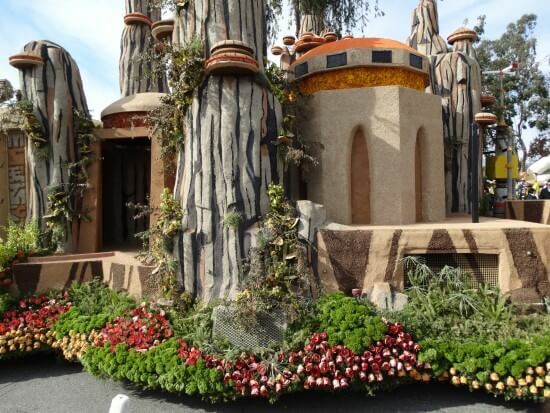 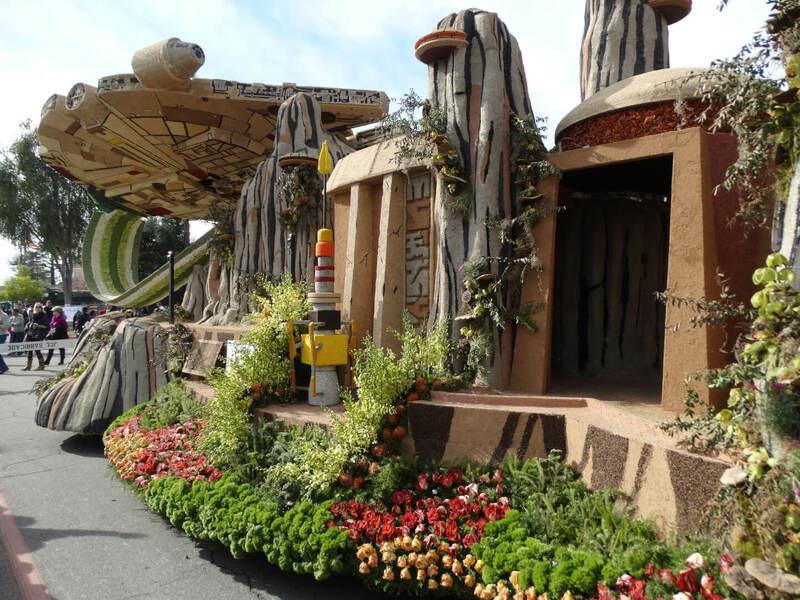 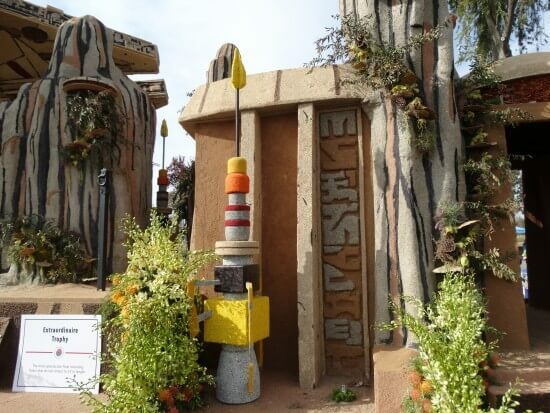 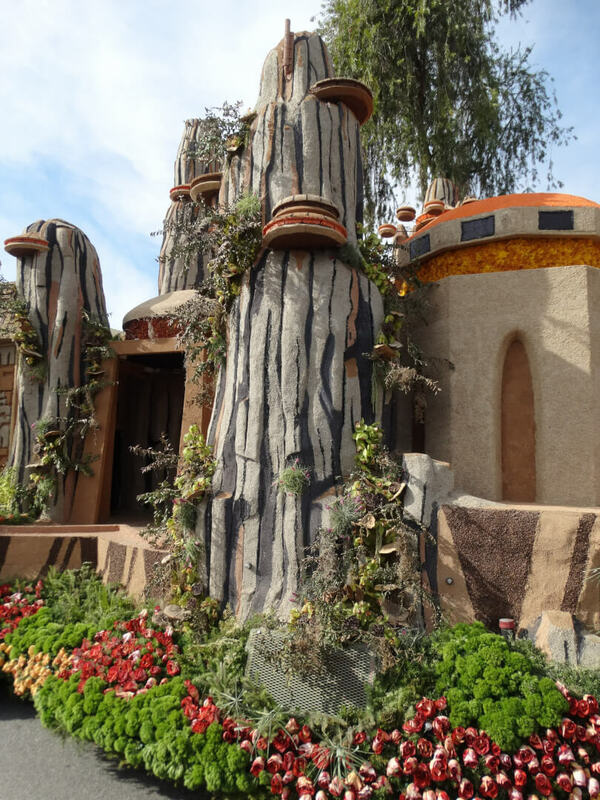 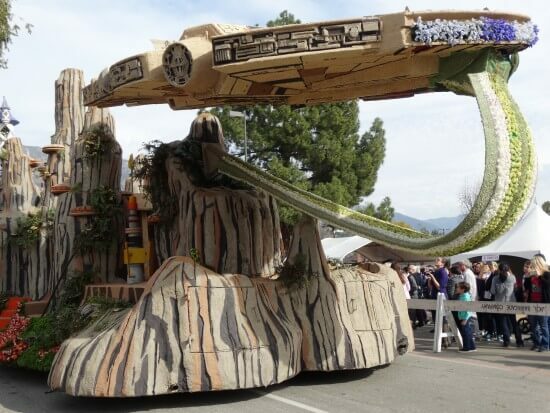 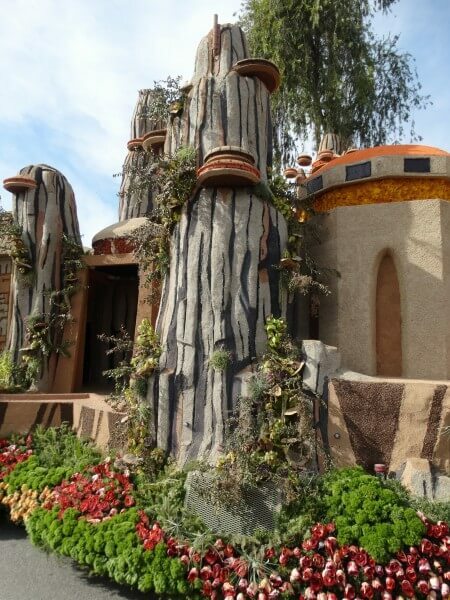 Due to the rules of the parade, the entire exterior of the float had to be covered in organic materials (mostly flowers and seeds, in this case). 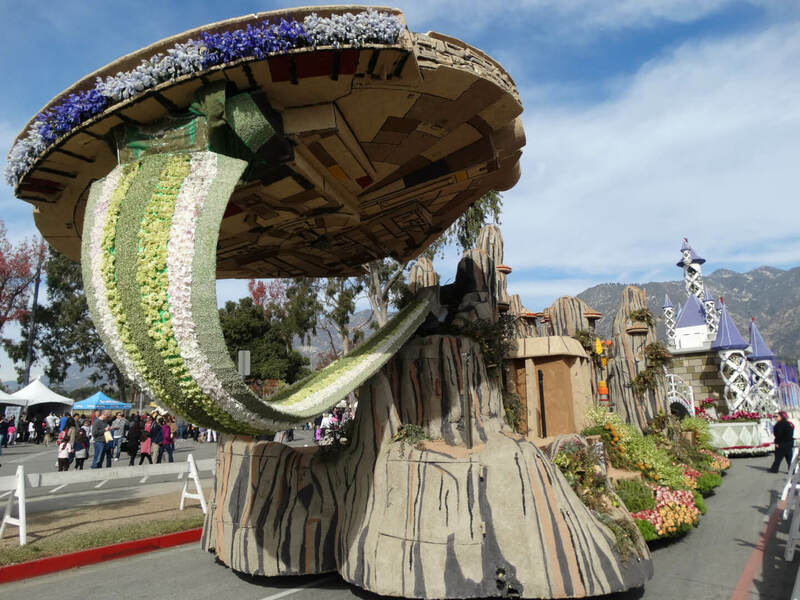 It’s a remarkable undertaking and due to it’s biodegradable state, this is the only time the float will ever be displayed to the public.